In my experience, good Sushi is hard to come by, especially when you live in a city which is as far away from the sea as it can get! There is, however, a place in Birmingham famed for the quality of its fish. Sushi Passion started in the Bullring Markets, using the fresh fish around it to create traditional Japanese sushi and sashimi, as well as fusion style sushi like California rolls. Recently they opened in a new location with a restaurant in the beautiful Victorian shopping destination and independent haven Great Western Arcade. I went along one lunchtime to give it a try. The first impression is always the most important and Sushi Passion makes an impression even before you get through the door. 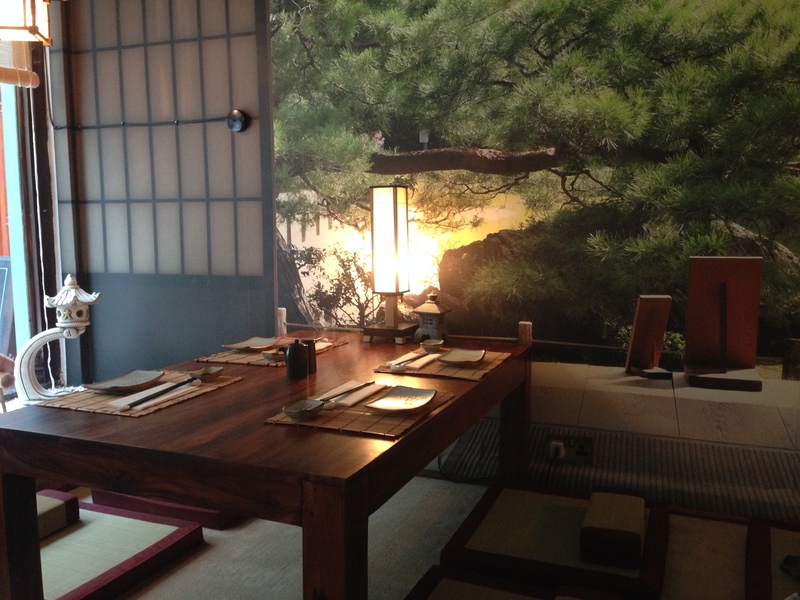 The window resembles a Zen garden with a large Bonsai, traditional artwork, kimonos and fans adorn the walls and ceiling, there is even a huge mural depicting a Japanese scene on one wall, where you can kneel and eat from traditional low tables. There was no room at the bar (which comes complete with Sushi train), s0 we sat at a table and enjoyed the surroundings. 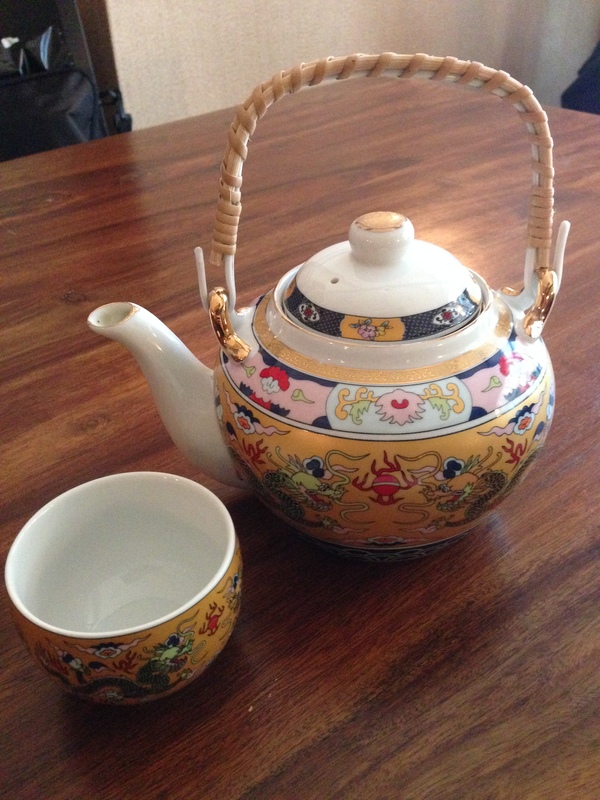 I had a green tea which came in the most beautiful teapot before we ordered Miso soup to start and a platter of assorted sushi to share. 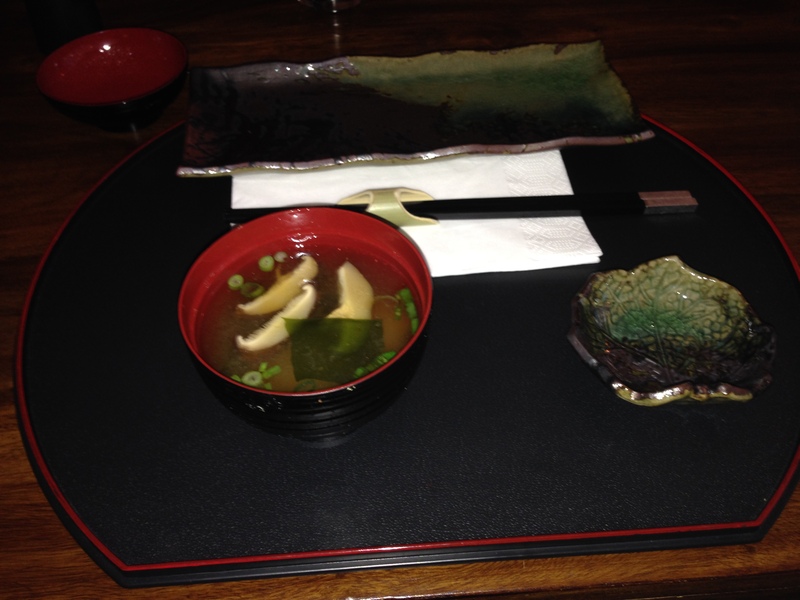 The Miso soup was lovely, with soft tofu and intensely savoury broth. 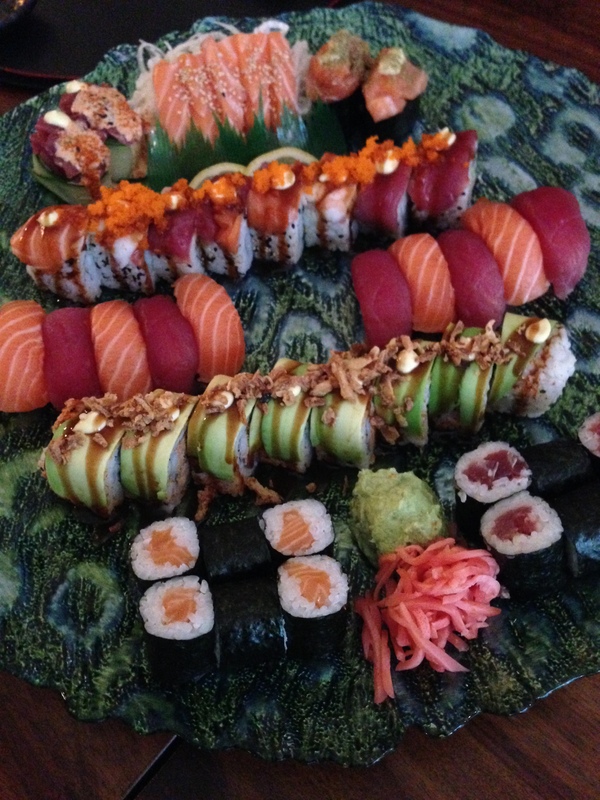 When our platter arrived it looked amazing, with a selection of salmon & tuna nigiri, uramaki, futomaki and California rolls, as well as salmon sashimi, pickled ginger, wasabi and mooli. The fish was so fresh and the quality was obvious. The tuna was particularly good. I absolutely loved the California rolls with avocado, crab and red pepper, and the presentation was faultless. I can safely say this is some of the best Sushi I’ve had. 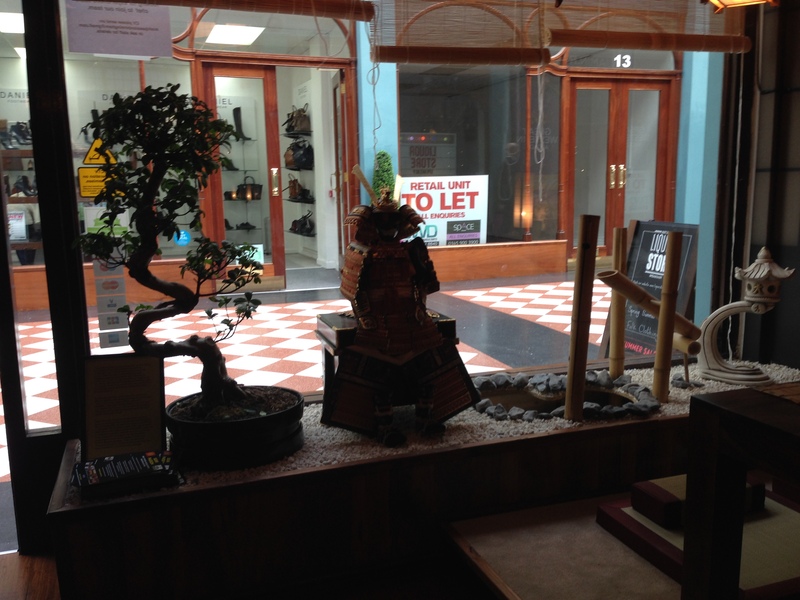 The décor and its location in the Great Western Arcade make it a really lovely place to eat. I’m positive I’ll be back.